He’s got to be doing this on purpose, hasn’t he? Surely? In truth, much of what Kevin Pietersen says in his interview with Cricinfo makes perfect sense. The gist is that there’s much to be gained from players going out together, but they also need to take responsibility for their own actions and any impact on their performance as cricketers. Sensible stuff really, but come on, Kev – show a bit of self-awareness. 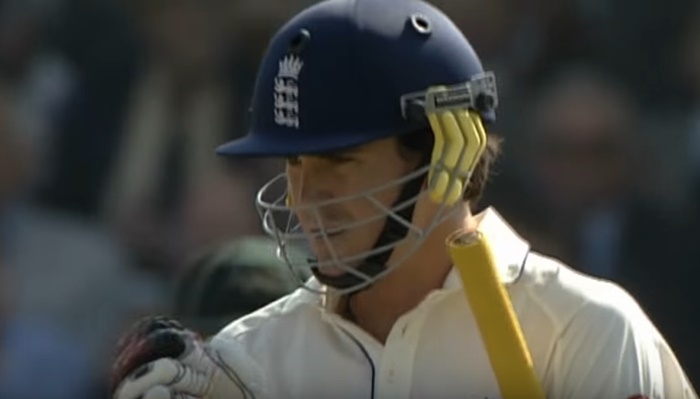 We wrote about the art of being a team player Pietersen-style back when he was sacked. It’s not as mocking as you’re probably thinking. We saw an independently-minded man with good intentions who went about things in a godawful way. There’s a parallel here with Ben Stokes. For all his flaws, it’s impossible to imagine KP laying into a couple of blokes in the street as Allegedly Stokes did in that white-trainered footage, but both men seem to share similar faulty logic. They apparently believe that if you begin an argument in the right then everything that follows is undertaken in the name of righteousness and therefore perfectly acceptable. There’s a story about the Stokes altercation that he started off defending someone – maybe a couple of gay men who were being subjected to homophobic abuse. Now you can certainly accept that a person might find a way to intervene in such a situation, but in the video of Allegedly Stokes, the scuffle goes on long after that. By the end, he can be seen advancing on a fella who’s backing away with his hands up in fearful surrender. Not okay. Today’s lesson is that a person can still do wrong things even when many will accept that they started off in the right. Although we’re not talking about physical conflict, it’s clear that Pietersen has a similarly simplistic view of disagreements – even when he’s sober. 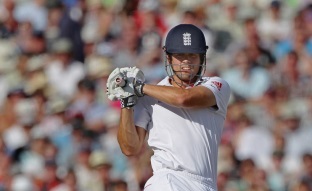 He says that team spirit was an issue on the 2013-14 Ashes tour (on that at least, he and Andy Flower will agree). However, much of what followed was just him taking issue with the team environment to such an extent that it knackered up that team environment even more. You probably had a point at the outset, Kev, but you lost perspective. It wasn’t The Guys in the Right Corner against The Guys in the Wrong Corner with every subsequent action of yours entirely justified. England would have a far better cricket team if their best players understood that righteousness can only ever be borrowed not owned. “Supergiants” beats “Super Kings” on account of it being one word. A ‘super giant’ would simply be a giant who was very, very good, whereas a ‘Supergiant’ is a massive dude with extraordinary strength and x-ray vision who can also fly. The fact that they are rising is merely an added bonus. Pietersen has got away with a fair amount over the years, but not sure ‘Dhoni told me I had to’ would serve as much of a defence in a court of law. Like a tired bear in winter, let’s try and put this to bed for a few days. Maybe it’ll have to get up again at some point next week to go for a wee, but we’re kind of hoping that we can concentrate on the New Zealand series from now on. Colin Graves told Kevin Pietersen that if he came back and played county cricket and maybe made a triple hundred, he couldn’t see why he wouldn’t get back in the team. He said this because he genuinely couldn’t see why he wouldn’t get back in the team. Then, while Graves was in the Caribbean, he discovered that England’s captain, Alastair Cook, was adopting a ‘him or me’ position on the issue. Not mad keen on having Joe Root as Test captain just yet, the ECB opted for ‘me’ in favour of ‘him’ and tried to ham-fistedly make the best of that. Kevin Pietersen came back, played county cricket, made a triple hundred and requested his place in the side. Andrew Strauss broke the news to him. This is perhaps why, at the press conference the following day, Strauss said that Pietersen wouldn’t play for England ‘this summer’, while adding that he couldn’t offer guarantees beyond that. He was basically just acknowledging that there are two possible scenarios. Cook presumably feels the presence of uppity Pietersen with his inability to keep his trap shut makes captaining the side impossible. If the public comes to accept the version of events outlined above, he may come to reclassify that particular ‘impossible’ as merely ‘very, very difficult’ in comparison to what he is likely to experience should England start losing this summer. Strauss said of Peter Moores that every game had become a referendum on whether he should continue to do the job or not. It would be like that, only a hundred times as vitriolic and a thousand times less dignified. The main problem, as we see it, is that some people seem to think that being England captain is a big deal; like it somehow elevates you above all other England cricketers. If Alastair Cook didn’t see captaincy as something to aspire to, he could have acknowledged that it wasn’t especially his thing at the very outset and instead busied himself with the greatly more important job of scoring Test runs. Pretty much everyone would have liked him more for it. You’d never get this kind of thing with Pakistan. Pakistan would have had about nine different captains by now and everything would have been much less chaotic as a consequence. 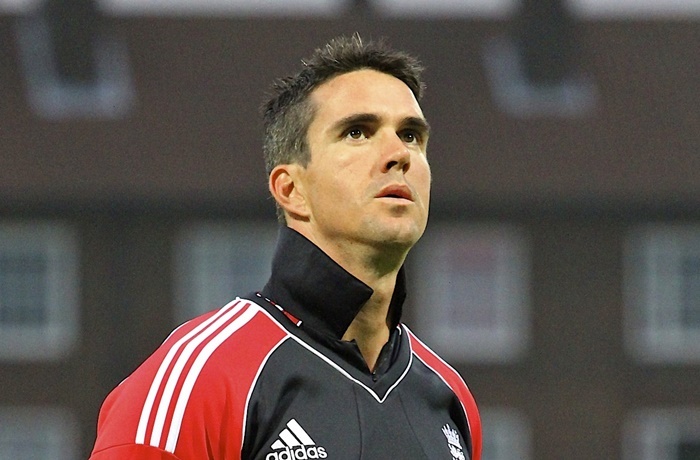 The Kevin Pietersen saga is often described as a soap opera. This is quite accurate because the defining feature of a soap opera is that IT NEVER ENDS. Okay, Crossroads and Eldorado did, but you get what we’re saying. For the most part they just rumble on, day after day, setting up contrived storylines and having them play out. Kevin Pietersen’s triple hundred today was neither proof nor irrelevant. 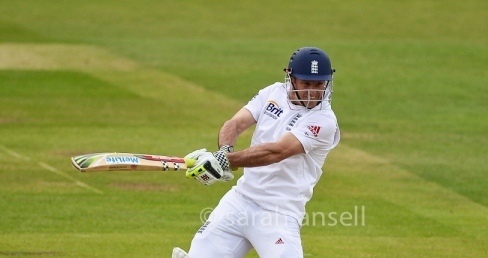 It was an impassioned and noteworthy innings against the worst first-class county. He can’t help who he plays. All he can do is score a few runs. Today he did that in about as convincing a manner as possible. The second-highest score in the innings was Kumar Sangakkara’s 36. More is needed, but on this evidence more is highly likely to arrive. What strikes us most is that Pietersen was at his most exciting early on in his career when he had it all to prove. Back then, there was real steel underpinning the carnage. If his sense of being wronged has brought that back and precipitated some sort of driven final fling, then excellent. Very few batsmen possess the qualities required to make you think you might be about to see something you’ve never seen before. Very few batsmen play the kinds of innings you feel compelled to send text messages about. It’s not about playing outlandish shots or scoring heavily, it’s a combination of brutality and endurance, a way of manhandling a match and pointing it in a new direction. Brian Lara explored new territory, so when he got going you couldn’t really feel confident about where things were going to end. There is something of that in Pietersen. Today a hundred wasn’t enough; and a double hundred wasn’t enough; and his highest first-class score wasn’t enough. Plenty of players have hunger, plenty of players have ability. Very few sit at the farthest extremes of the spectrum on both counts. Much as we enjoy writing about administrative staff, what they think and what they may or may not have meant when they said something in an interview, we rather feel that the World Cup is a time for writing about actual cricket. Colin Graves has said some things, the ECB have said some different things in faceless, Borg-like fashion and Kevin Pietersen has expressed enthusiasm, as he is wont to do. While all of this may amount to something one day, it isn’t all that meaningful right now. A whole bunch of things would have to happen in the correct sequence before there could be any impact on a cricket match and lest anyone forget, cricket is about cricket matches. Cricket-wise, South Africa’s huge score against Ireland changes nothing in our eyes. They have a couple of exceptional batsmen, some middling ones and a long tail. We still think they’re vulnerable. Pakistan play the UAE tonight and could, quite honestly, lose. We say this only because they appear to be even worse than England and England certainly seem in the market for a mugging; ambling about the dangerous part of town with a bulging wallet tucked precariously in a back pocket. In the other match, Australia play Afghanistan. There shouldn’t be an upset there, but it could provide some exceptionally entertaining moments. A guest review of KP: The Autobiography by Dandy Dan. It’s a bit boring really. The problem isn’t really all the sections released in the media when it came out. It’s that he’s never really been shy in saying how he feels throughout his career so we all know the stories anyway. The only thing that came to a real surprise to me was his dislike for Flower. Flower gets a pasting throughout the book, even during the successful times. Now I had come to the conclusion at the end of the last Ashes series that Flower must be to blame for the whole debacle, so taking this one sided view of things I feel smugly content in being right. Essentially, each chapter follows the same path with a different tour/story thrown in. Yes, I’ve made mistakes, I realise that now (But he doesn’t realise he’s still making them). The IPL is great, not enough people in England realise this. The ECB is made up of incompetent buffoons (This was a particularly startling revelation). I had an injury and wasn’t playing well. The most interesting part of it to me (well one which wasn’t covered by the media that I could tell) was his apparent dislike of authoritarian coaches, yet the fondness he holds for his strict childhood experiences. Flower (and to a lesser extent Moores) get a slagging for being too controlling, yet he reminisces about his time at school where the juniors had to say please at the end of every sentence they spoke to a senior. Apparently this taught him that respect has to be earnt. I’m not sure I understood the idea of earning someone’s respect just because they were older than you. He obviously has a lot of respect for his father who he says showed him little emotion, but then criticises Flower for not putting an arm around him. If there’s a source to the idea that KP just wants to be loved there it is. Pop psychology over. The whole Matt Prior/Big Cheese stuff starts off quite funny, gets a bit tiresome, then goes back to being funny again. It’s particularly amusing when he takes the piss out of him for thinking he’s in Team Sky. Swann doesn’t get laid into as much as I thought he would for leaving the tour early. He does make a good case for the IPL and reading his book has changed my mind about it a bit regarding its importance and the engagement the ECB should have with it. I’m still not interested in actually watching it though. Following this revelation that the newspapers didn’t actually republish every last word of KP’s book, you might like to buy it. If so, you can get it from Amazon here . Our latest Twitter round-up’s just appeared on Cricinfo. It was an unusually tough assignment. We’d sign into Twitter, get distracted by the latest developments arising from Kevin Pietersen’s autobiography and then find that we’d lost an hour or more. We’d then force ourself to close down Twitter so that we could get some work done before remembering that Twitter was our work. Repeat. Despite what many believe. It’s just people, after all. People are good and bad. If your experience of Twitter is always negative, you’re following the wrong people. Follow good people and it’s an always-accessible sounding board for thoughts and ideas; a friendly online pub full of witty, erudite people who like to discuss things and trade one-liners. However, of late logging in has been to waltz onto a medieval battlefield sans armour. A 24-hour argument is being maintained and even if you don’t get involved, it can be a bruising experience. If you ever feel emotions for other people, you won’t go long without sympathy or anger welling up in you. Absorbed in the debate, you don’t notice it happening either – at least until you go to bed and realise that it will take literally hours before the tension subsides. The annoying thing for us is that the Pietersen story raises lots of interesting questions about the way the sport is run in England. We’d like to discuss these things, but we can’t. We always consider this website to be quite a friendly place, but even here it’s impossible to criticise the ECB without people assuming you must therefore be on KP’s side. Conversely, criticise KP and you are ascribed all sorts of other opinions as a consequence. It’s like English cricket has devised two new stereotypes and is getting busy with its label maker, tagging everyone. On Twitter, this polarisation is even more pronounced. The word ‘tweet’ sounds so fey and inconsequential, but reading them at the moment is exhausting. Even when we broadly agree with someone, we’re often put off by the vehemence with which they put their point across. People we otherwise enjoy speaking to – often contemporaries; the pseudo-colleagues of the freelancer – seem incredibly militant all of a sudden. Perhaps the chaos is addictive. Perhaps people enjoy the feeling of being at the centre of something major that is unfolding, surrounded by well-known names, not knowing where things are going. A lot of KP/ECB-related Twitter output is a kind of directionless rage broadcast to the ether – almost an invitation to combat. At other times, a target is identified – and if there is no target, it doesn’t take much to create one. Disagree forcefully enough with something someone says and they will respond in kind. A quick to and fro and two people who thought they occupied middle ground suddenly find themselves entrenched at opposite extremes. Suddenly you find you have a stance – and then everyone else piles in. Maybe it’s the number of people who can get involved in a Twitter debate that causes all of this. Crowd behaviour is greatly influenced by a reduction in each individual’s sense of personal responsibility. That’s how mobs form. But a reduced sense of personal responsibility is something that can surely only be exacerbated by the pseudonyms and physical distance that come with Twitter. You can say what you like and you can get carried along with the crowd. That’s dangerous enough, but compounding this is the fact that the more people who are discussing something, the more quickly the debate moves. This is exciting, your adrenaline fires. Yet if you’re involved, you may feel you have to become more and more extreme in what you say so as to be heard above the noise. No point. Modern world, self-control, polarised debate. And even for conscientious objectors, it’s hard to ignore a medieval battle. It takes willpower to look straight ahead when you pass an accident on the motorway. When this sort of melée is just a click away, what chance have you got – particularly when you can sit on the sidelines, invisible to all the combatants?